June 2016 – History… the interesting bits! Few English monarchs had to fight harder for the right to rule than King Edward IV – Shakespeare’s glorious son of York. Cast in the true Plantagenet mould, over six feet tall, he was a naturally charismatic leader. Edward had the knack of seizing the initiative and winning battles and is free from the unflattering characterisations that plagued his brother, Richard III, having been portrayed as a good-looking and formidable military tactician. Described sometimes as reckless and profligate, all sources remark on his personal bravery. In the eleven years between 1460 and 1471 he fought five major battles in the Wars of the Roses. 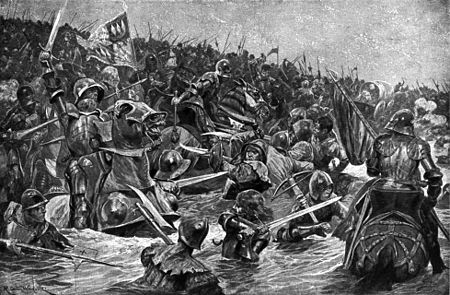 Three of them – Towton, Barnet and Tewkesbury – rank among the most decisive of the medieval period. 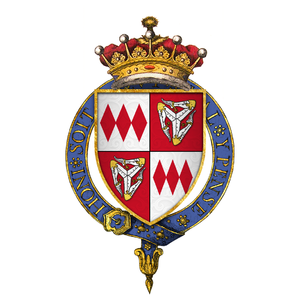 This is a history of Edward IV’s struggle to gain and retain the kingship of England during a period of sustained dynastic turmoil during the Wars of the Roses. 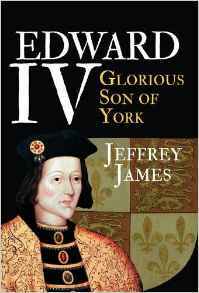 Jeffrey James’ biography of Edward IV is a wonderful introduction to the Wars of the Roses from the Yorkist point of view. 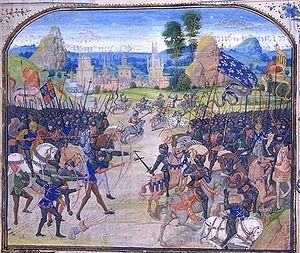 Told in a chronological narrative, it covers the events from the very outset of the Wars, telling the story from Edward’s birth, through the struggles of Richard, Duke of York, and the outbreak of war. It concentrates on Edward’s fight to win – and keep – the throne, covering the various battles, and Edward’s military tactics, in great detail. With the author’s background in military history, it is no surprise that where this book shines is in the assessment of the military engagements, troop movements and battle plans. It places Edward’s story in the wider context of the Wars of the Roses, while highlighting the individuality and personality of Edward, which made him such a successful warrior and king. Normally relaxed and easy-going – a man who disliked unpleasantness for its own sake – Edward nonetheless had a fiery temper, usually vented against those of noble rank who angered or disappointed him. Though more often stressing the king’s good nature contemporaries sometimes touch on this aspect of Edward’s character. More marked was the king’s man-management skills. Jeffrey James uses contemporary sources in abundance to back up his arguments and theories. Extensive footnotes and a comprehensive bibliography provide limitless opportunities for further reading. Maps and family trees at the beginning of the book help to provide a basic understanding of the scale of the Wars, and of the personalities involved. The narrative is also supplemented by 40 photographs, portraits and illustrations, providing a further visual aid to the people, locations and battlefields involved in the conflict. Edward IV, Glorious Son of York is an engaging, accessible narrative which provides thorough analysis of the king’s actions – and the actions of the chief players in the Wars of the Roses. Edward’s relationships with his family, allies and, even, his enemies – foreign and domestic – are discussed and assessed, providing interesting insights into the great personalities of the 15th century. There may have been mercenary pikemen, as well as halberdiers, professional soldiers – forerunners of the famed continental landsknechts – whose habit of slashing their clothing seeded the fashions of Tudor times. Unfortunately it does get a little fanciful in places, claiming that “Leaden images, depicting a man and a woman, found discarded in an orchard nearby, suggest enchantment” when talking about the wedding of Elizabeth Woodville and Edward IV. He also suggests Richard of Gloucester (the future Richard III) hero-worshipped his brother, without any contemporary evidence to back this up. However, such dubious claims are few and far between and, on the whole, the author’s research is impeccable and supported by contemporary sources and evidence from archaeology. Jeffrey James also acknowledges the work and theories of fellow historians, such as Amy Licence and Charles Ross, analysing their assessments in relation to his own. If Warwick was stirring up trouble in the North he was – to use a modern phrase – ‘operating well under the radar’, using proxies in a manner designed to circumvent the activation of any immediate royal redress. Today we might use the term ‘hybrid warfare’ when describing acts like theses: acts designed to surprise, confuse and wear down an opponent. 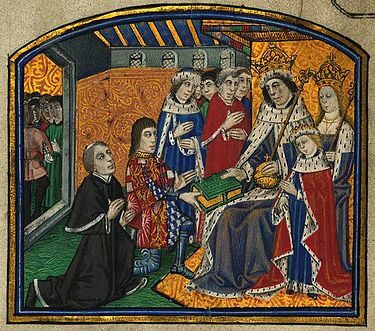 Although the book concentrates on Edward’s fight to win and retain the throne, it also looks into Edward’s family life and the implications of his marriage to Elizabeth Woodville; on England, his allies and international politics. It provides and in-depth analysis of where Edward’s relationship with the Earl of Warwick broke down, and of Edward’s various successes and failures. He doesn’t shirk from discussing where Edward made mistakes, nor looking at where he could have done better, or been more – or less – ruthless. Edward IV, Glorious Son of York is a well-written, entertaining biography of one of England’s most fascinating kings and his fight to win – and keep – the throne. Today I welcome an extra special guest to my blog. My son, Lewis, who is in Year 6 of primary school and is studying Kings & Queens for his topic this term. Constantly being dragged to castles by his mother and a good smattering of the Horrible Histories tv show, thankfully, have instilled in him a love of all things historical. His homework this term was to do something Kings & Queens related – but he could choose what. 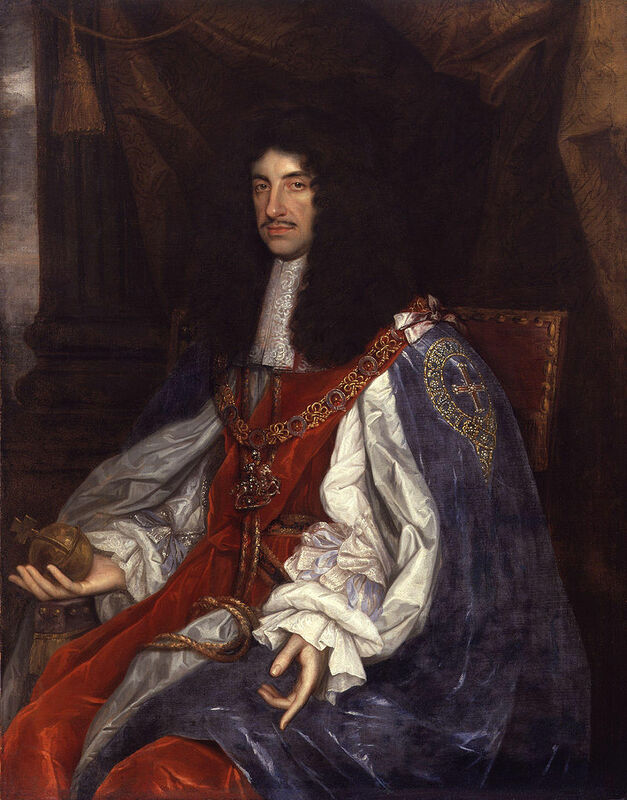 Lewis’s favourite monarch is Charles II, and so he chose to write Charles’s diary and asked if I would share it on here too – what mother could refuse? Hello! I have heard that my cousin, Prince Rupert, was attacked by those bad Roundheads and his dog, Boye, you know that poodle which pee’d if you said the name ‘Pym’ and would do a dance for dad, got shot by a Roundhead musketeer. What’s more is that he was attacked at dinner! Not a good battle, we lost. We lost the Civil War and dad’s dead. that means I am king, but for some reason they chose a puritan, a strict protestant, (sad face) to rule and his name is Oliver Cromwell. (He has a big wart!). Still not King and my people are having a terrible Christmas. Pretty much because there is no Christmas because Oliver Cromwell banned it because it was “sinful”. He has also banned music, theatre, art (although he did have his face painted by Mr Larry on his order), pubs, parks, sports, etc. 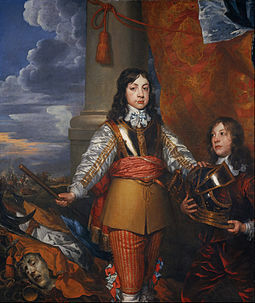 Cromwell has been dead for 2 years and his son, Richard, was about as much use as a raspberry pickaxe (yum yum yum). So a chap called General Monck came (I wonder if he was – a monk?) 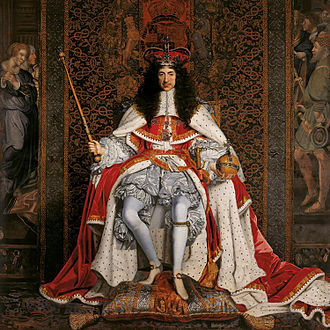 to my door to ask me to be king of England, which can only mean one thing … PARTY!!! It’s dad’s anniversary of when he got executed and to celebrate (?) we dug Cromwell up and killed him again. He was hung and off went his head. What!?!?! He was a bad man. He wanted to ban everything! Ever since the Restoration there are lots of bans lifted, and new furniture. I also received the world’s first coronation mug by a man called Sudders who I made my loyal adviser. And people shouted “Charlie! Charlie” etc. I was followed by Lords from the Tower of London to Westminster Abbey where I was crowned. Then I had the biggest party yet! I’m marrying Catherine at noon and I need to prepare my wedding cake. I am planning it to be a 3 layered chocolate cake with chocolate icing and, of course, a party. Catherine brought tea with her from Braganza in Portugal, near Spain. At first I thought she was crazy because it was dead leaves. Then I drank it (yuck), tried having milk in it and it was better. No! This is not when it happened! It is when I heard the reports of it. Moving to Oxford with the Royal Court now. Eek! Rats! Run to Oxford everyone! (sad face). Phew! Still alive. Glad the horses weren’t infected. I have escaped the plague and this plague is known as the Great Plague. Or was it the Black Death? No, definitely Great Plague. Pudding Lane is baking us at the minute because it is the Great Fire of London, thanks to Thomas Farriner who dropped the embers to start the fire. I did try to put out the fire for 3 days and it was hot! We were able to put out the fire in 3 days. Although there is no more London because the city is burned to the ground. On the good side no more plague because the rats ran away, only 6 people died in the fire and I am able to rebuild the modern city. However the city won’t be rebuilt until 1667. I am having a fun birthday! Everyone is having fun! Even the servants are having fun! I invited them too! Sudders didn’t have a good time. He didn’t want to be invited. But I invited him too! In the end he was happy. Best birthday ever! I was sentencing Colonel Thomas Blood this morning and he was funny even though he’d committed treason by stealing the Crown Jewels. I let him off, gave him his own estate in Ireland, a nice big one and a manor house. He was also invited to the palace for tea. I had a fun time at the party and so did Blood. He also had a story about the time he tried to kill me – and other funny stories. This is the end of my diary. Have a wonderful day. 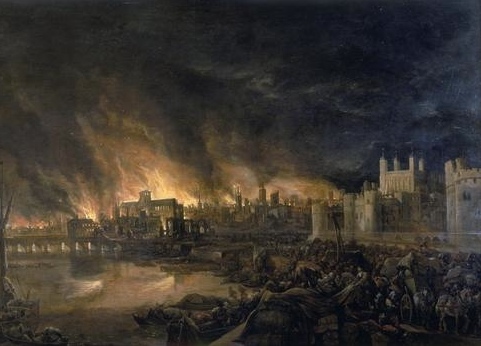 Pepys had also buried some wine and cheese during the Great Fire of London. Unfortunately he couldn’t remember where he’d buried it. This time it is the end of the Diary. Thank you for listening (smiley face). A great big ‘thank you’ to Lewis for allowing me to publish his wonderful diary. Persecution of heathens and witches was regular but not widespread in Germany in the medieval period. But as the Catholic Church grew swollen and corrupt, pagans were seen as a threat. Pope Innocent IV declared in his papal bull Ad extirpanda, dated 1252, that the use of magic, herb collecting, and questionable gatherings in so-called mystical or heathen sites was forbidden and to be enforced by torture. The famed Hammer of the Witches, the Malleus Maleficarum, the handbook by Heinrich Kramer on what witchcraft was and how to deal with it, was first published in 1486 and remained popular for two hundred years. In the early 16th century, a new opposition to Rome appeared in the Empire among the Germanic territories: the Protestant movements. The most famous of these movements was the Reformation led by the teachings of Martin Luther. The Catholic Church was quickly losing the Germanic regions to this new teaching. By the middle of the 16th century, many major German cities had officially converted to Protestantism. As the 16th century came to a close, severe weather, failing crops, rising prices, disease, and an overall doomsday atmosphere fueled the Catholic Church’s renewed efforts to win back the territories. Someone or something was responsible for the woes of the world and whoever or whatever was going to pay. People had deep fears regarding Satan and witches and these fears could be used in order to re-seize power. Doctrine and rumors spread quickly because of widespread use of the printing press. Illustrations were popular and even illiterate people could be influenced. Scapegoats were found at first among those people who could least defend themselves: women, children, the poor, the uneducated. Even Martin Luther and the Protestants condemned witches and supported their torture and execution. In the center of this mania was Franconia, Germany and the witch burning stronghold of Europe, the bishopric Bamberg. During the time of the Thirty Years War (1618 – 1648), more witch trials and executions took place in this area than in any other area in Europe. Thanks to the efforts of historians (see: Sources, at the end of this article), much of the available information has been catalogued and can be reviewed in their publications. A few thousand documents survived that dark period from 1616 to 1631 even though they had come close to being lost. At some point between 1830 and 1840, the Old Court in Bamberg had a clear out and sold lots of old papers to a housewares shop. The shop had a stand on the market and wrapped their wares in these old papers. Luckily, a historian named Johann Adam Messerschmitt noticed his order of nails was wrapped in official witch trial documents. He bought all the papers and secured them in the Bamberg archive. What is left today are the documented fates of 884 accused men, women and children. Among the papers, historians have found protocols of the inquisitions. The questions used by the inquisitors were often so comical that the accused would laugh. 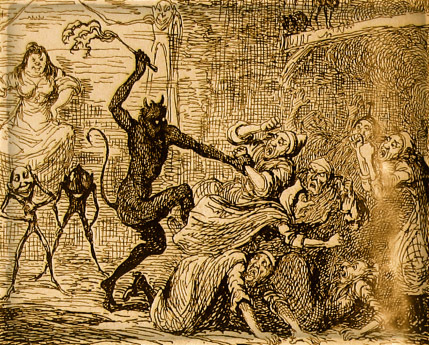 The demand for reports of the instances of dancing and dining with the devil, what was eaten and drunk at these parties, and who was among the other participants was at first not taken seriously. The documented torture protocols, invoices for jail stays, and invoices to the families of the executed for the wood used in the witch fire are disturbing at the very least. The first accused were those most easily arrested but soon branched out to include other victims as well. This included well-to-do citizens whose complete possessions and properties were confiscated by the church. Other high-profile citizens opposed the trials as did the whole of the Bamberg city council. One by one these families were arrested, tortured and executed, city chancellors and their families eliminated. This included the five-time mayor Johannes Junius, whose case is one of the most well-documented. The secret letter he wrote to his daughter explaining his innocence exists today. The witch persecution ended dramatically in 1632. Swedish troops invaded and occupied Bamberg, ended the persecution, and the last of the detained were let go. A few trials took place after this period but the executions were stopped. 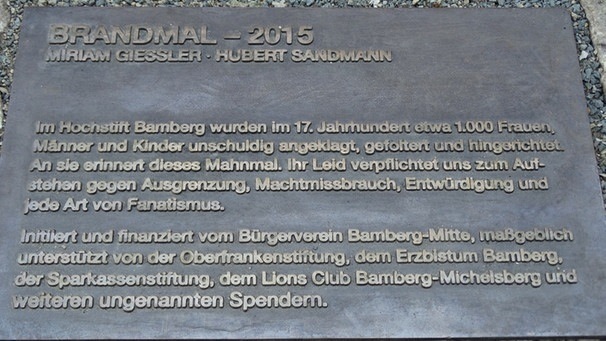 In August 2015, almost 400 years later, after a massive initiative by the citizens’ group Bürgerverein-Mitte, the Mahnmal, a memorial to warn of past wrongs, was erected to remember the innocent men, women, and children who were accused, tortured and executed. She earned a BA in German at The College of New Paltz, NY in 1991 and moved to Germany, where she resides today. When she isn’t writing she can be found sifting through city archives, picking through castle ruins or aiding the steady flood of Höfner musical instruments into the world market. In 17th Century Germany on the brink of the Thirty Years War, 24-year-old Katarina is traded to the patrician Sebald Tucher by her fiancé Willi Prutt in order to pay his debts. En route to her forced relocation to the Tucher country estate, Katarina is met by a crazed archer, Hans-Wolfgang, carrying a baby under his cloak. He tells her an incredible story of how his beloved was executed by a Jesuit priest for witchcraft right after the birth and makes Katarina—at sword point—swear on her life to protect the child. But protecting the child puts Katarina at risk. She could fall in disfavor with her master. She could be hunted by the zealots who killed his beloved. She could be executed for witchcraft herself. Can Katarina’s love for the baby and Sebald Tucher’s desire for her keep the wrath of the zealots at bay? Set in Franconia, The Master and the Maid is an accurate, authentic account of a young woman’s life in Germany in the 1600’s, her struggle for freedom and her fight for those she loves. King of Jherusalem and Defender of the Holy Sepulcher, Baldwin walks the sword’s edge between the quarreling barons of his Court and the jihad of Islam. Between the two, however, a sinister presence lurks—a cabal of heretics who will stop at nothing to see its dark designs come to fruition. Baldwin is young, courageous, and a leper. In the midst of mounting political tensions and war, a beautiful woman befriends the lonely sick king—a woman who claims she is an immortal saint. 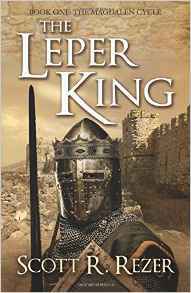 The Leper King is the 1st in Scott R. Rezer’s The Magdalen Cycle series of novels. Last year I read The Pawns of Sion, the sequel to The Leper King, for The Review, and thoroughly enjoyed it. So, when I was given the opportunity to read the story from the beginning, I jumped at the chance – and was far from disappointed. Luckily both books work well as standalone stories; they have the common theme running through the series, but you certainly do not have to read them in order. They are fantastic stories set around the Crusader Kingdom of the 12th century, combining fabulous adventure, war and intrigue with a wonderful touch of the mystic and magic. The Leper King has everything; love, betrayal, the Knights Templar, heroes and heroines, Mary Magdalen ….. and the mysterious, dangerous Order of Sion which has its own personal agenda and is determined to bend the Kingdom of Jerusalem to its own will. The fight for good versus evil is cleverly woven into the historical story of the survival of the western Crusader kingdoms against the Muslim onslaught. 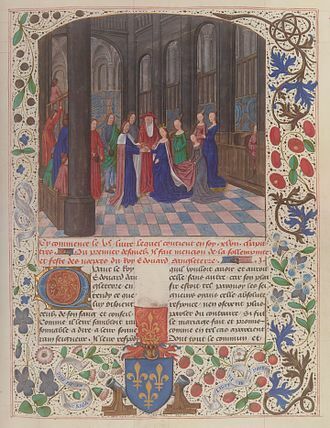 The individual stories of love and ambition within the royal family are set against the needs of the kingdom and the machinations of the great nobles. Murder and revenge, love and betrayal, magic and history; all go into making this novel a unique and enthralling story. William sensed her before he saw her: a prickling of the sense like a cool draft through a chink in the chancellery door….The chapel lay dimly lit. She stood in the midst of it, all in white and gold, bathed in the soft glow of the candlelight. “When you pray, do not use vain repetitions as the heathen do: for they think they will be heard for their many words,” she said, throwing the words of the Christ in his face with a sly, wicked smile. She was often that way with him: taunting and playful, annoyingly forthright. “You told him you were the Magdalen.” he said, ignoring her acerbic remark. The hero of the novel is Baldwin IV, King of Jerusalem; he was only 13 on his accession to the throne and already suffering from the effects of leprosy. Baldwin struggles to keep his lords united while fighting against the mystical forces of evil. His strength of character and determination hold his kingdom together while he is faced with 2 implacable foes; the secret cabal that is the Order of Sion from within and the man who was, arguably, the Muslim’s greatest ever warrior – Salah ad-Din – from without. Scott R Rezer’s characters are well researched and brought to life in wonderfully vivid; they are exciting, glamorous and mysterious. 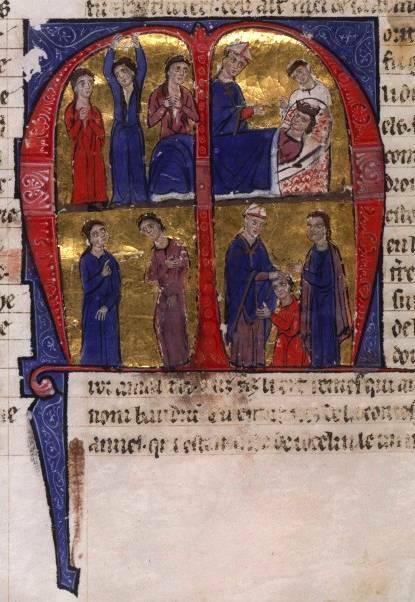 He demonstrates an understanding of the needs, desires and mentality of the major players in 12th century Outremer. The story of magic, Mary Magdalen and the fight between good and evil slip easily into the great landscape of the Holy Land and serves to highlight that the actions of the individual protagonists come together to make the greater story of the Crusader Kingdoms, and the fight for survival. the descriptions of Biblical locations, of battles fought and sumptuous, exotic palaces, bring the 12th century Holy Land to life. There are some very nice little touches in the book, which help to give it an individuality, such as the use of native names for locations, depending on who is talking. To the Muslims, Jerusalem is known as Urshalim, while to the Crusaders, it is known as Jherusalem. In much the same way as the language, the author looks at the struggle in the Holy Land from both sides, Muslim and Christian, even demonstrating how both rulers, Baldwin and Saladin, are faced with advisers bent on revenge or peace, depending on their personal experiences with their foes. The many strands of the story are brought together for a thrilling climax of action and magic, that leaves you elated and bereft at the same time. It is a wonderful blend of history and fiction, drawing you into Baldwin’s world and the tensions with which the Holy Land was beset. The dual story of the eternal battle of good versus evil cleverly mirrors the history of the Crusades themselves and the battle of Christian against Muslim. The novel keeps you entertained and on the edge of your seat throughout. It is unique, thought-provoking, fascinating and intriguing; evoking a multitude of emotions. In short, it is a great read and I look forward to reading and reviewing Book 3. 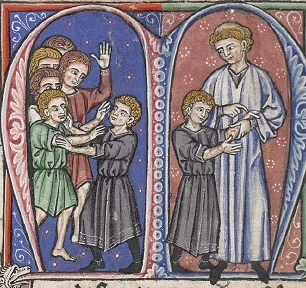 While researching Lincoln this week I came across the unhappy story of Little St Hugh, a young boy whose death caused a lethal backlash of blame and recrimination which attracted the attention of the king, Henry III, himself. The story revolves around a young boy called Hugh. Born around 1246 he was probably 9 years old when he disappeared on 31st July 1255. No one seems to know who Hugh’s father was, or even if he had one – some sources suggest he was illegitimate – but his mother was a Lincoln lady called Beatrice. 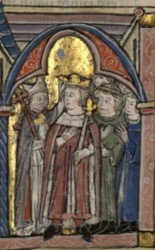 According to Matthew Paris Beatrice, herself, had discovered Hugh’s body sometime around 27th August 1255, after marching into the house Hugh had been seen going into. Little Hugh’s body was found in a well at the property of a Lincoln Jew, named Copin (or Jopin, Joscefin or Koppin). Poor Copin was immediately seized by those present when the body was found; Beatrice and her neighbours and the city’s bailiffs all appear to have been in attendance. In no time at all a dreadful tale of ritual murder and the ‘blood libel’ (where it was believed Christian children were tortured and killed in Jewish rituals, supposedly mimicking the crucifixion of Christ) was woven around the tragedy of the little boy’s death. It is still unclear whether or not Little Hugh was murdered; some sources suggest that it could have been a terrible accident and the boy lost his footing and fell down the well. And even if the boy was murdered, it is far from clear that Copin was the culprit. However, one man took the initiative and played on the prejudices of the time to, not only, create a scapegoat but use the anti-Semitism prevalent at the time in order to blame the Jewish population of England as a whole. 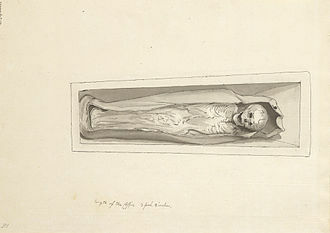 John of Lexington was one of the witnesses at the discovery of the body and appears to have been the one to investigate the accusation of ritual murder levelled Copin, probably by the distraught Beatrice. He may have been familiar with the case, just over a century earlier, of William of Norwich, who died in 1144 and whose death was said to involve a mock execution at the hands of a converted Jew named Theobald. At the time of the death many prominent Jewish families had congregated in Lincoln; not to commit murder, but to celebrate the marriage of Bellaset, the daughter of Berechiah de Nicole. These were suddenly caught up in the tragedy and more than 90 of them were arrested and charged with practicing ritual murder. They were sent to London and imprisoned in the Tower to await trial. In the mean time rumours of miracles started circulating and being attributed to Little Hugh. It was said his body had been thrown down the well because when Copin had tried to bury him the earth had thrown the corpse back out. In another miracle attributed to him a blind woman regained her sight by bathing her eyes in water from the well in which Hugh’s remains had been found. 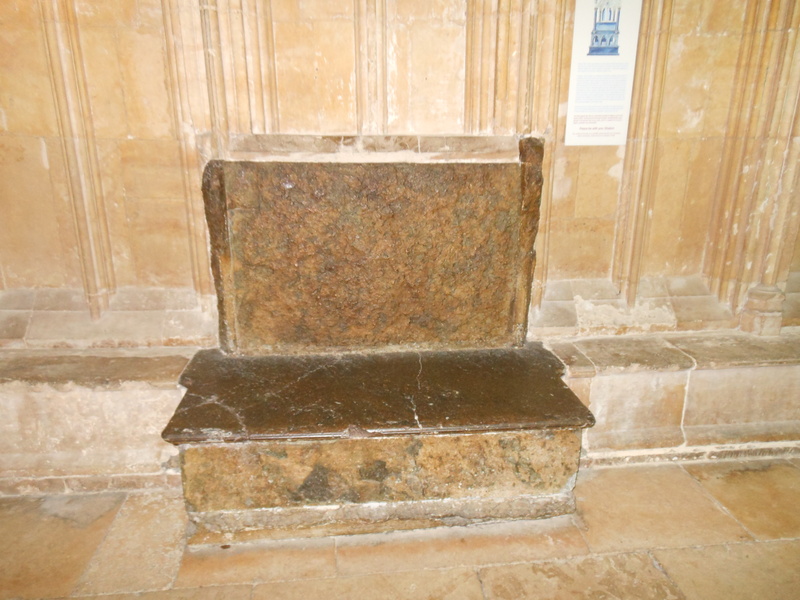 Having heard of the miracles associated with Little Hugh, the canons of Lincoln Cathedral requested the body and Little Hugh ‘was honourably buried in the church of Lincoln as if it had been the corpse of a precious martyr,’² with the Cathedral even raising a shrine to the memory of Little Saint Hugh. As for Copin; the story of a boy’s murder by England’s Jews had attracted the attention of England’s king, Henry III. According to Paris the king himself reproached John of Lexington for having promised life to such a ‘wicked being’ and the poor man was condemned to death. He was tied to the tail of a horse and dragged through the streets to the gallows, and hung. Just 6 months before Hugh’s death the king had sold his rights to tax the Jews to his younger brother Richard, earl of Cornwall. However, he retained the right to receive the goods and property of any Jew implicated in a crime. This made the 90 Jews arrested alongside Copin valuable to the king if guilty – and to his brother if not. Of these 90, 18 ‘of the richer and higher order of Jews of the city of Lincoln’² were condemned to death and dragged to gibbets erected especially and hung; their property confiscated by the king. The remaining 80 or so prisoners were eventually released, following payment of their ransom by the Earl of Cornwall; his personal Jew had probably been caught up in the arrests and so it was in Cornwall’s interests to get the Jews released. 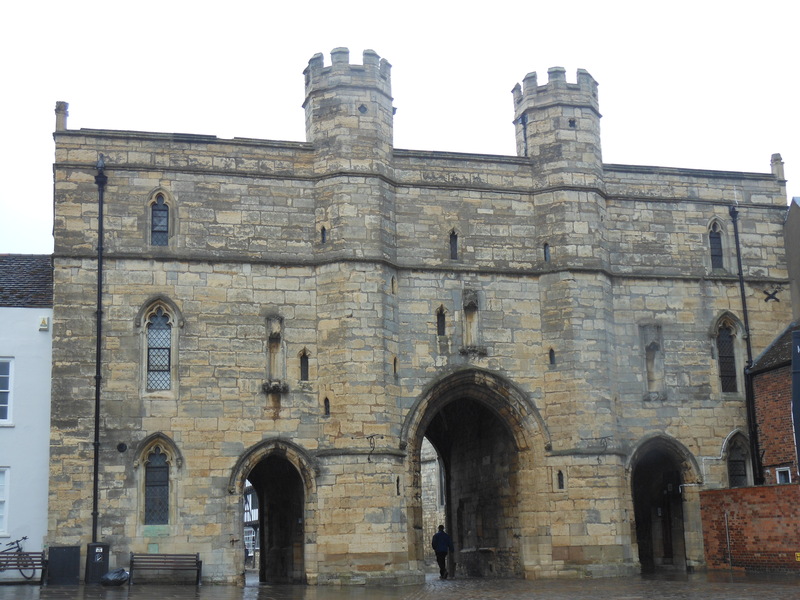 Among those freed was Berechiah de Nicole, the father of the bride for whose wedding the Jews had been gathered in Lincoln. The tragedy of Little Hugh’s death was only worsened by the judicial murders of so many innocent Jews in revenge. 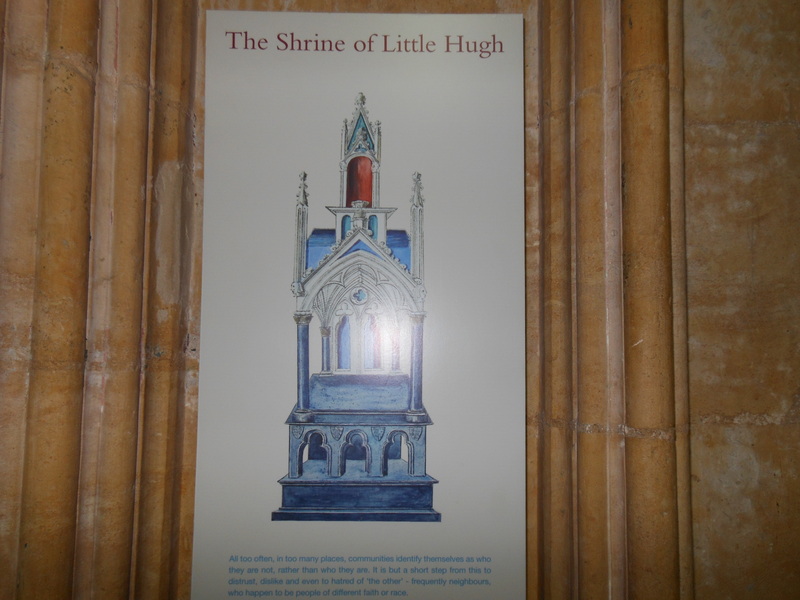 Little St Hugh is the best known of the ‘blood libel’ saints and although a shrine was erected in Lincoln Cathedral, with a feast day of 27th August, Little Hugh was never canonised by the Vatican and has never been included in the official roll of Catholic martyrs. The shrine inside the cathedral, although still there, now has a sign at the side, explaining the legend and telling the sad tale of the boy’s death and its dreadful aftermath. Little Hugh’s story would continue to be told in the succeeding centuries. 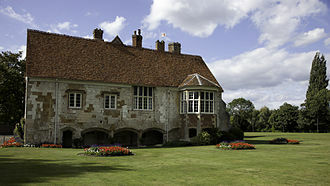 It has been the subject of ballads in both English, Scottish and French poetry and is referred to by Chaucer in The Prioress’s Tale and by Marlowe in the Jew of Malta. Footnotes: ¹Matthew Paris, quoted by Haidee J Lorrey from oxforddnb.com; ²Matthew Paris, Of the cruel treatment of the Jews for having crucified a boy from arts.cornell.edu; ³Matthew Paris, quoted by Haidee J Lorrey from oxforddnb.com. And thanks to Dean Irwin for clarifying some points for me. 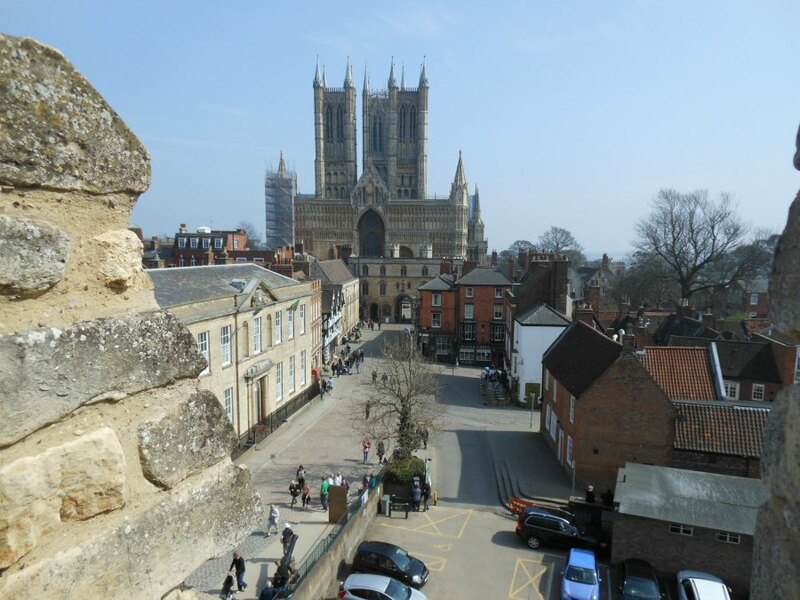 Article and photos of Lincoln Cathedral and precincts ©2015 Sharon Bennett Connolly; Picture of the Body of Little Hugh courtesy of Wikipedia. Sources: oxforddnb.com; arts.cornell.edu; britannica.com; pillingswritingcorner.blogspot.co.uk; Who’s Buried Where in England by Douglas Greenwood; Chronicles of the Age of Chivalry Edited by Elizabeth Hallam; The Plantagenets, the Kings that made Britain by Derek Wilson; England Under the Norman and Angevin Kings 1075-1225 by Robert Bartlett; jewishencyclopedia.com.